Lower your energy bills and reduce your carbon footprint. 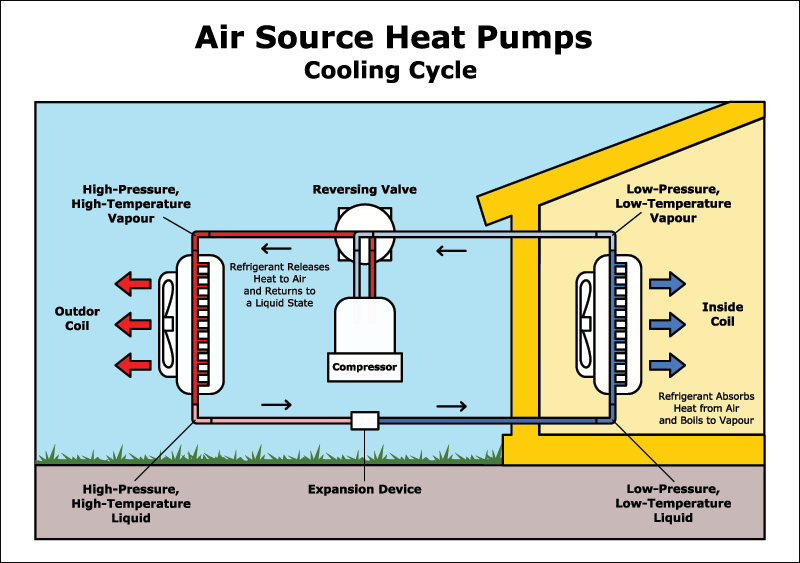 Different from a ground source heat pump, an air source heat pump extracts heat from the outside air in the same way that a fridge extracts heat from its inside. 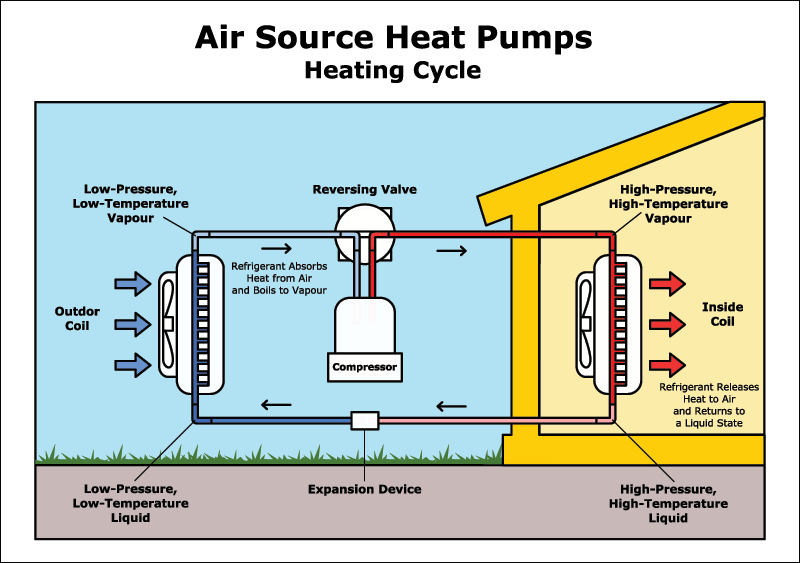 It can get heat from the air even when the temperature is as low as -15° C.